The Social Security Act regulations have specific rules regarding social security numbers (“SSNs”). See, specifically § 422.103. Social security numbers. (3) Immigration form. SSA may enter into an agreement with the Department of State (DOS) and the Department of Homeland Security to assist SSA by collecting enumeration data as part of the immigration process. Where an agreement is in effect, an alien need not complete a Form SS-5 with SSA and may request, through DOS or Department of Homeland Security, as part of the immigration process, that SSA assign a social security number and issue a social security number card to him/her. Requests for SSNs to be assigned via this process will be made on forms provided by DOS and Department of Homeland Security. Applications for a SSN are completed through a specific Form S-5, located on the SSA’s website. This Form S-5 discusses the general requirements for a SSN as set forth in the law; i.e., the individual must be either (1) a U.S. citizen, (2) have lawful work authorized immigration status, or a (3) valid non-work reason for requesting a SSN and a card. This entry was posted in Social Security - Non-Tax Considerations. IRS Commissioner’s Comments – Is He Listening to USCs and LPRs Living Around the World!? I believe that someone who has lost USC or LPR status would and should retain their SSN. 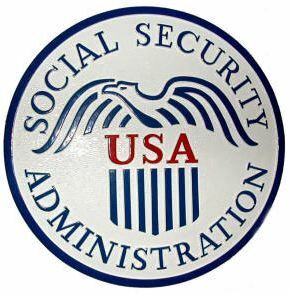 Specifically the Social Security Administration requires every one who receives Social Security to have an SSN, whether alien, USC, or LPR. When someone who never was a USC or LPR, (e.g. an alien spouse) applies for a spousal retirement benefit based on the record of a USC or LPR, the SSA issues them an SSN designated as “not eligible for employment”. An ex-USC or LPR who is eligible to apply for retirement benefits already has a number and the Social Security Administration uses it.